We're Happy to Help You Find the Right Life Insurance! Once you turn 65, you become eligible for Medicare insurance even if you plan on continuing to work. You also can become eligible for Medicare before age 65 based on disability. Call today for help in finding the right supplemental insurance for your situation. You may be able to save money or have other choices if you have limited income and resources. Learn how to qualify and/or enroll in Medicare Supplement Insurance. Life insurance is for the people who are important to you and depend on you financially. It's unique insurance because it's not for you but for those you care about. When you die, it enables you to continue to take care of these special people who are left behind and going through one of the most difficult times in life because they've lost you! Give us a Call and complete the life insurance form to take care of the people you love today, because tomorrow isn't promised! Many people would prefer not to talk about the possibility of needing assistance and care later in life. 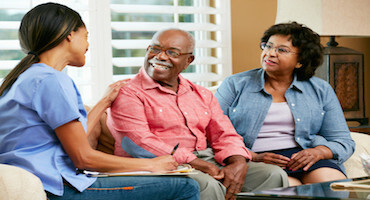 Unfortunately, over 70% of people 65 and over will need some kind of long-term care. The average cost of a one year stay in a nursing home in California is $94,900 and growing at about 5% yearly. Call today to learn what you can do to improve both your choices and finances if you should end up being one of the lucky 7 out of 10. •We can save you money & time while insurance shopping by helping you match your desired benefits with your desired price. •We will help and advise you in completing your insurance plan application. •After your application submission, We'll monitor the underwriting process to help improve your odds at being approved. •Best of all...our service is Free. There is no additional cost for our service (AKA... no broker fees). In other words, you'll pay the same price using our services as you would if you applied directly with whichever company you applied for insurance coverage with... Guaranteed.